Sadhguru: India is the only place where our gods must dance. If they cannot dance they cannot be a god! This is because the closest analogy you can give to the phenomenon of creation, is that it is like a dance. Today, modern physicists are using such words – they say creation seems to be in a dance. If you observe a dance, on the surface, there seems to be no logical coherence to what is happening. But if you look closely enough, there is a very profound system to the whole process. Creation seems to be absolutely random and accidental, but with closer observation, everything seems to be synchronized in some way. For example, in Indian classical dance, the dancer may seem to be just moving their hands and legs about at random. On the surface, there seems to be nothing to it. But if you watch closely enough, there is a very deep coherence to everything that is happening. If that coherence was absent, you would not enjoy the dance. To be able to do seemingly illogical things like throwing your hands and legs around, but still have an absolute coherence to everything that you want to depict takes years of training and practice. If the dance has that geometric aesthetic, it will impact the viewers in a certain way, though they may not know the story or understand what the dance is. The same goes for music in a different dimension. Physicists are also coming to this. Creation seems to be absolutely random and accidental, but with closer observation, everything seems to be synchronized in some way. There is some kind of coherence to everything, which they are still not able to figure out. The only reason yoga is even possible is because there is a coherence between the individual life and the larger manifestation of creation. If there was no coherence, you couldn’t become one. There would be no possibility of union if there was no coherence. One of the theories that is being thrown around in science over the last few years is Constructal theory. What they say is that whether you take an atom, a human being, an elephant or the cosmos – the fundamental design is the same. It is only the complexity that increases in sophistication. We said anda, pinda, and brahmanda – the ingredient that makes this life, the individual person, and the cosmos – are three manifestations of the same thing. This is something we have always said in yoga. The microcosm and the macrocosm are essentially the same design. It is from this that the yogic practices began. We said anda, pinda, and brahmanda – the ingredient that makes this life, the individual person, and the cosmos – are three manifestations of the same thing. They are all in the same synchronicity. And because it is the same design, you can put one into the other. You can eat a carrot and make it into a human being because it is the same design. So, the nearest analogy and the closest description you can give for the way the cosmos is functioning is that it is a dance, because it all seems to be at random, but there is perfect organization and synchronicity behind it. It is just that most people’s idea of organization is too intellectual and divisive. For example, let’s take a nice, manicured garden and a forest. A garden means everything is organized. A forest means no organization. But if you don’t attend to the garden for three months, it will be gone. But a forest can live for millions of years without your attention. So which would you consider as better organization? So, because creation is a dance, we said the divine is a dancer. If he is not a dancer, how could he make this dance happen? When we say Shiva is Nataraja, we are not talking about an individual dancing. 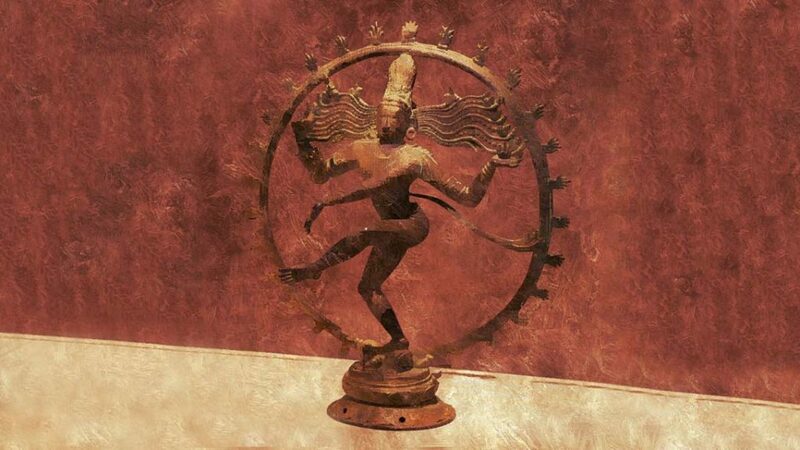 You might have noticed that in the depiction of Nataraja, there is a circle around him. The circle is always the symbol of the cosmos because when anything moves, the most natural form that happens in the existence is a circle. Anything that happens by itself is a circle or an ellipsoid – which is a slightly distorted circle –because a circle is the shape of least resistance. The planet, the moon, the sun, these are all circles. 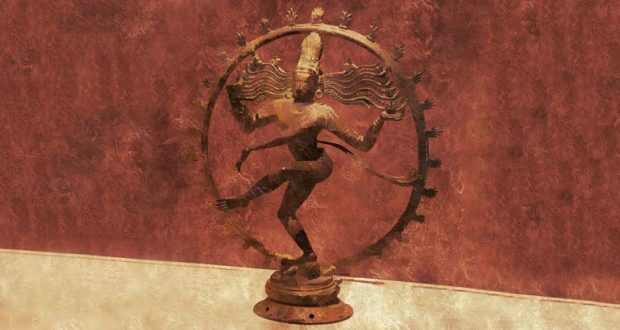 This is why the circle around Nataraja symbolizes the cosmos. He is a cosmic dancer. That is how he is always described. This is not about an individual dancing across the cosmos. We are saying the cosmos is in a dance and the dance is guided by a certain intelligence. Since we are individuals and we understand everything as separate life forms, we individualize it as Nataraja for our own perception. The word “Shiva” literally means “that which is not” or “that which is nothing”. It is nothing, it is empty space, but it is dancing. Because it is dancing, everything is happening. You cannot understand the dance because everything that you understand will only be a wrong conclusion. But you can experience the aesthetic of the dance, or you can become the dance. If you experience the beauty of the dance by observation, we say you are a seeker. In society, you may be called by different names – maybe a scientist – but still you are a seeker. You want to know what it is, so you are paying attention. If you become the dance, you become the divine, you become a yogi. That is the choice you have. Editor’s Note: On Feb 24, Mahashivratri, Sadhguru will be consecrating the 112-ft Adiyogi at the Isha Yoga Center. Join us for this once in a lifetime experience. Visit isha.sadhguru.org/msr for details about free passes and registration.